3. Public and Freight Transportation – getting passenger data and statistics to optimize the number of bus or train routes; doing most accurate number plate recognition; cargo tracking, weighing in motion and vehicle identifying. What embedded vision means. What the benefits are. Who it benefits (from business and usage perspective). Why embedded vision shall be considered as an alternative to IP video surveillance and for which scenarios. What remarkable applications could be developed based on embedded vision for retail, traffic, transportation, sports and law enforcement. 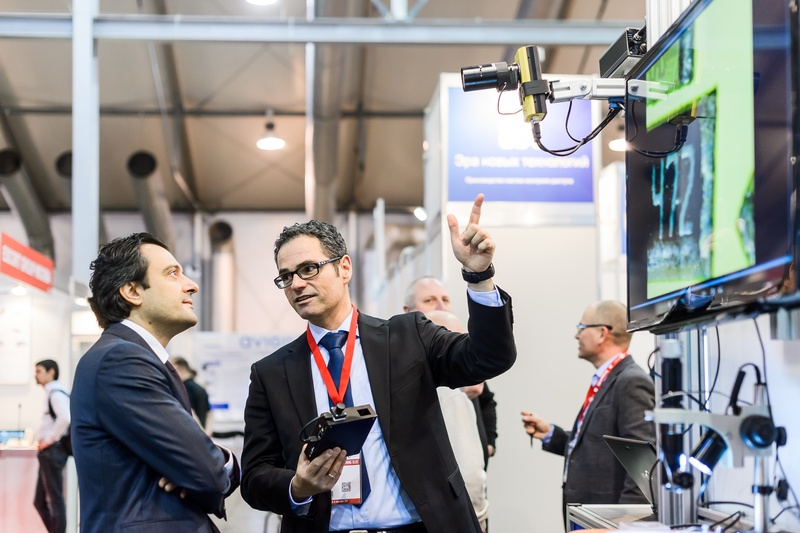 – All of those will be covered and showcased live at the Fifth Machine Vision Conference at All-over-IP 2017. Sponsored by Basler AG. For exhibiting opportunities please contact Alla Aldushina at aldushina@groteck.ru. Founded in 2008, All-over-IP is a networking platform for global IT, surveillance and security vendors, key local customers and sales partners where they share knowledge and exchange ideas that are financially rewarding for business. All-over-IP brings together major brands to ensure the best marketplace for the latest technology and innovation, and to lead customers to the Next Big Thing. Sponsored by AxxonSoft, Basler AG, Dahua Technology.